Once known for steel mills and factories, Cleveland is now a hardworking artisan hub. Published on Thursday, September 20, 2018. This article appears in the August/September 2018 issue of American Craft Magazine. 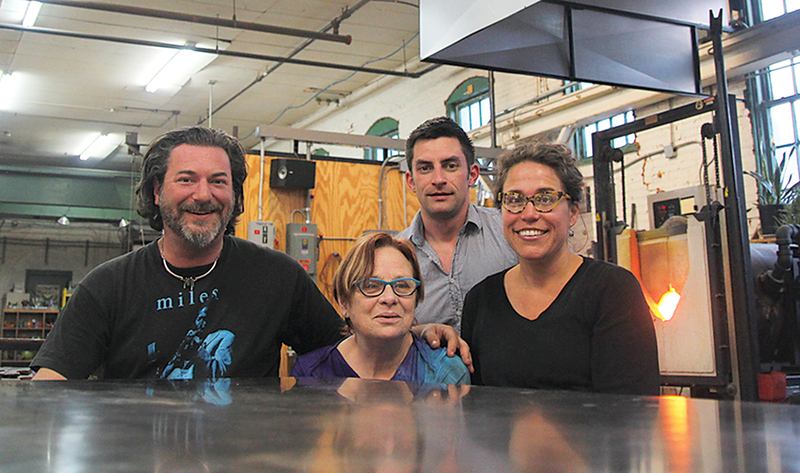 The handmade has found a niche as artists turn old factories into studio spaces. Just east of downtown Cleveland sits a warren of brick buildings, relics of a bygone era. The former Chisholm Steel Shovel Works complex was an enterprise of the Chisholm clan, who are credited with launching the city’s steel industry in the 1850s. At the company’s peak, 8,000 workers produced the pig iron and Bessemer steel that cemented the city’s reputation as a manufacturing powerhouse. Today, the huge blast furnaces have been replaced with another kind of flame – the kind the artists of the Superior Hot Glass collective use to create ornaments, vessels, installations, and commissions. 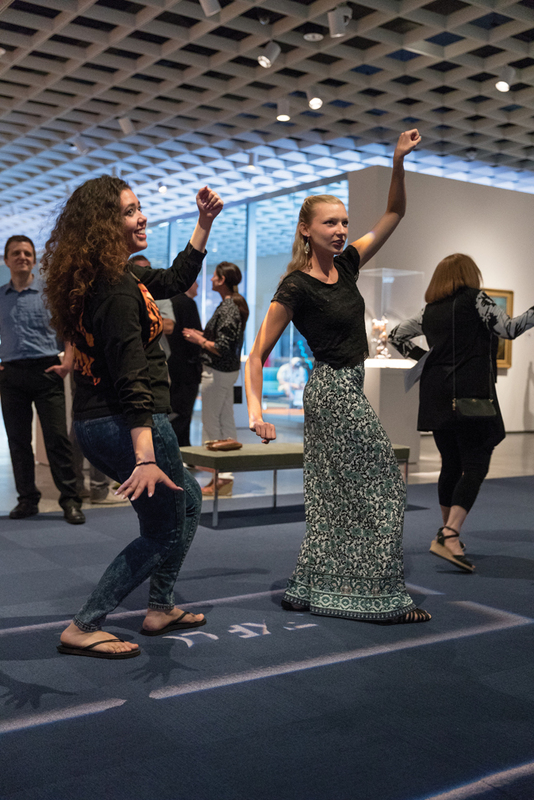 Venerable institutions such as the Cleveland Museum of Art woo audiences with new initiatives such as the ArtLens Studio, where visitors can learn about the collection using interactive technology. 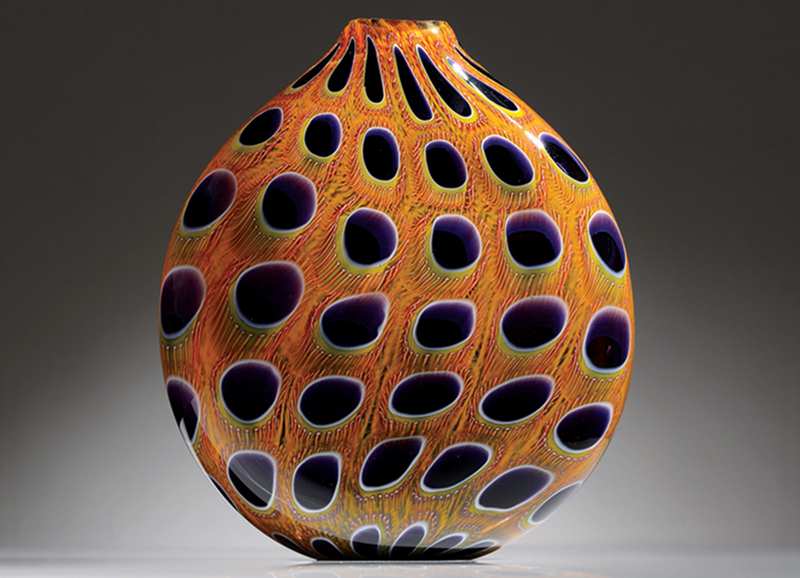 Superior Hot Glass Murrine vase by Zac Gorell, a member of Superior Hot Glass artists’ collective. The group also offers classes and demonstrations. Screw Factory Artists studios: In a former factory turned creative enclave, the collective includes perfumer Melissa Hale and ceramist-blacksmith Matthew Richards. 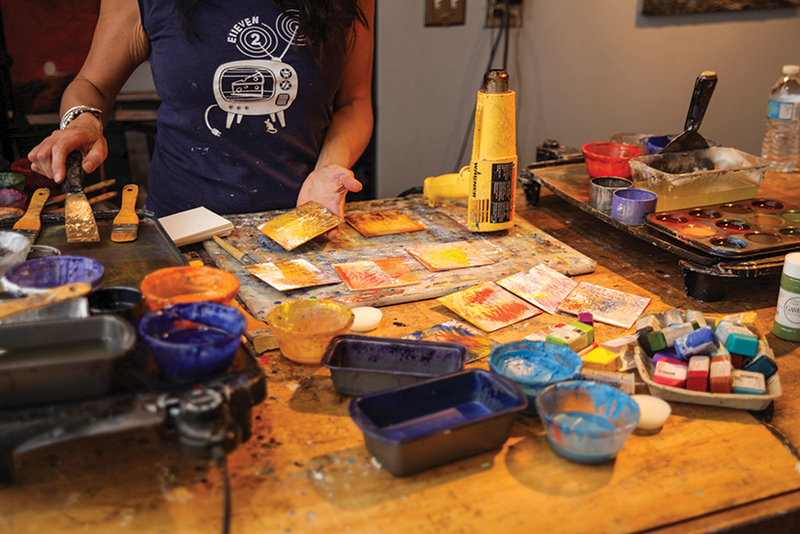 78th Street Studios: The complex of galleries and studios opens to the public several times a month, including Watch It Wednesdays, with maker demonstrations. 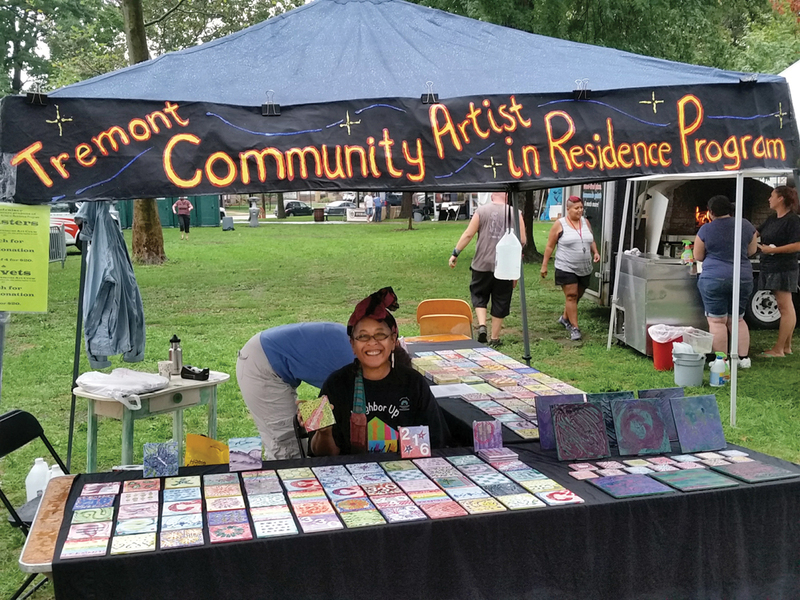 Angelica Pozo not only lives in the Tremont neighborhood, she also works there as an artist in residence. 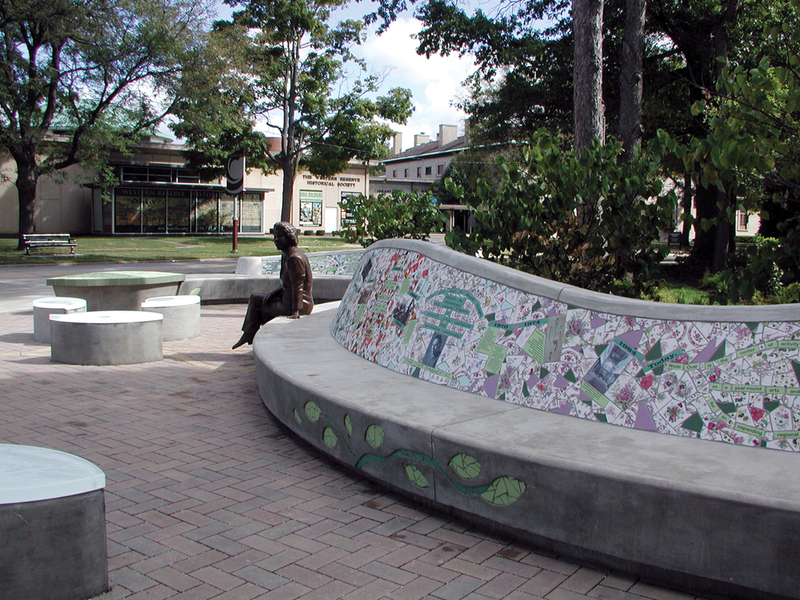 A ceramist and mosaicist, she created the Stephanie Tubbs Jones Memorial Wall, honoring a local congresswoman. The Cleveland Flea: Monthly markets spring through fall give local makers a chance to sell their work. The organization also offers classes tailored to creative entrepreneurs. Templar Motors Factory Display: The former car factory, now home to the Screw Factory collective and other artists, maintains a collection of the luxury vehicles built there from 1917 to 1924. 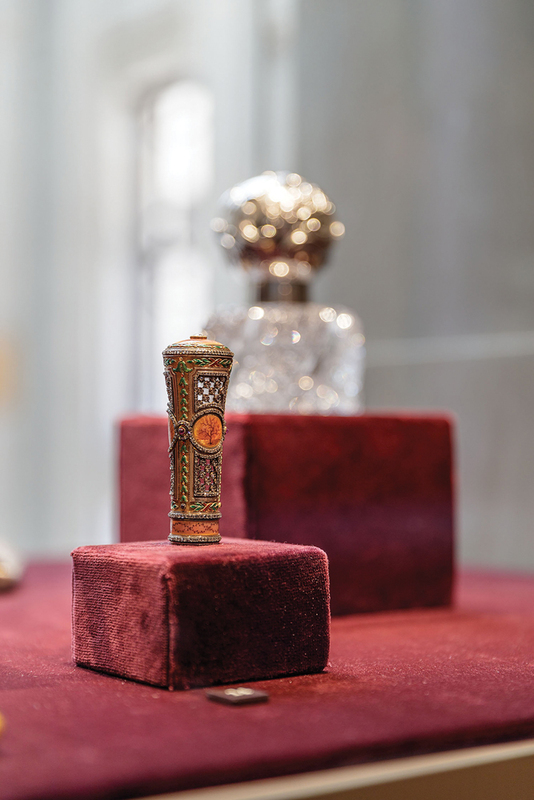 Cleveland Museum of Art: The museum’s collection includes renowned works by Tiffany and Fabergé, on view in newly redesigned galleries. The building has other advantages. Pentecost and Berry chuckle over the couple who rented the space for their wedding. “Everyone made a piece of glass in the wedding colors,” Pentecost says. The complex and others like it are one reason Cleveland’s craft community is booming. The area is full of factories and warehouses, so studio space is ample and affordable. 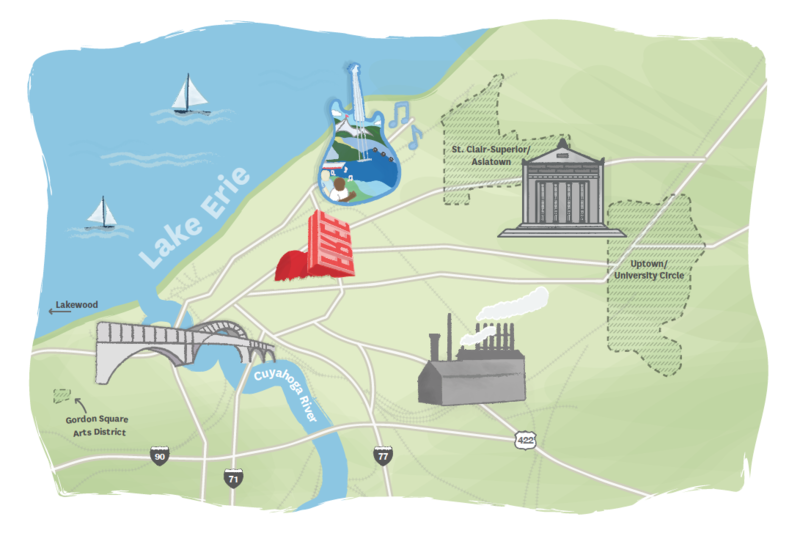 Couple that with a cost of living 11 percent below the national average, as well as stunning geography – the city sits on the shores of Lake Erie – and Cleveland has become a place where artists can work and grow. 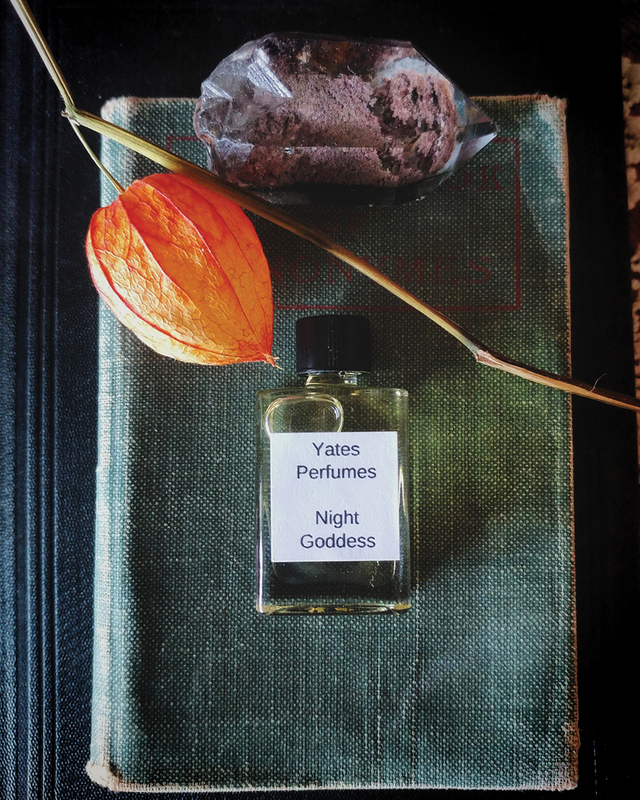 Hale owns Yates Perfumes & Apothecary, a small-batch perfumery. Her studio is a bright respite, where small bottles of essential oils and signature scents rest on lace-covered tables. Richards, a potter and a blacksmith, works one floor up from Hale. His studio, Ryu no Sakebi (“Call of the Dragon” in Japanese), is devoted to pottery, but a metal dragon he sculpted speaks to his other medium, which he runs as Grindstone Dragon Forge. 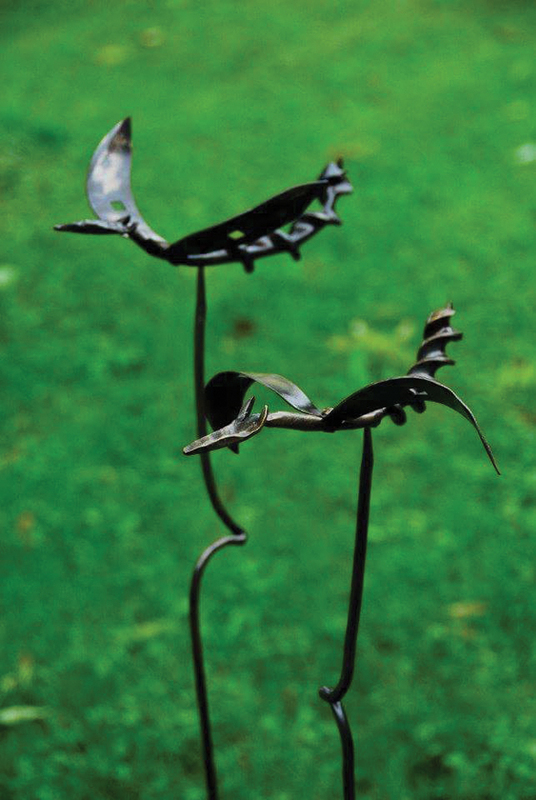 Through his blacksmithing work, he has developed an interest in the city’s rich industrial history. Richards and Hale say the Cleveland Institute of Art’s students and teachers help foster a spirit of experimentation that flows through the creative community. The school has emphasized the decorative arts since its establishment in 1882 as a design school for women. 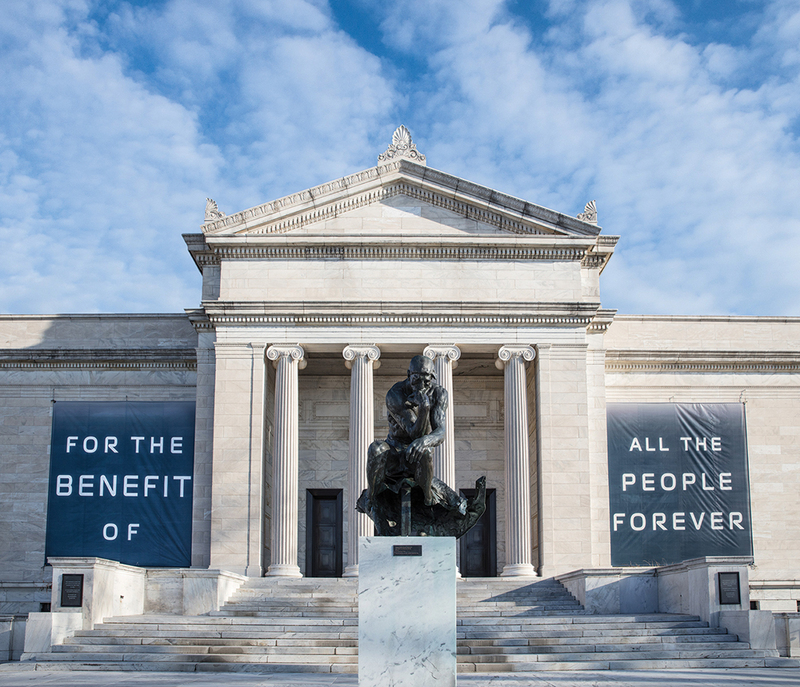 It’s one of several cultural institutions – including the Cleveland Museum of Art and the Cleveland Institute of Music – that exemplify how deeply the arts are integrated into the region’s culture. Angelica Pozo, a ceramist working in sculpture and mosaics, also notes the impact of the CIA but points out that nearby Kent State University and the University of Akron are also important institutions. “You have good influences. There is a good artisan and craft and maker dialogue that’s happening throughout the city,” she says. 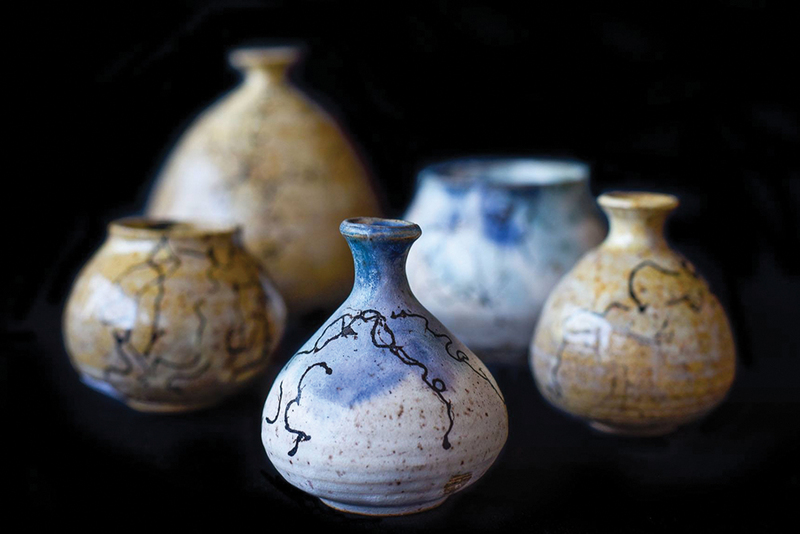 A New York City native, Pozo moved to Cleveland in 1984 after earning an MFA at the University of Michigan. She was lured by the city’s affordable housing and studio space, and easy access to materials and supplies. Several years ago, she needed a crucial component for an adobe installation at the governor’s mansion in Columbus. “I remember researching for materials and realizing ‘Oh, there’s a company in Cleveland that makes that stuff. I don’t have to send away,’ ” she says. Pozo, who has won numerous commissions for public art, is an artist in residence in Cleveland’s Tremont neighborhood, where she lives. She’s working with residents to create tiles illustrating their memories of the neighborhood, which she’ll use to decorate a bench and flower bed designed as a gathering space. But the story the space will tell transcends its neighborhood. Tremont was once a community of factory workers. It’s changed, just as Cleveland has. But the region’s industrial past now nourishes its artistic flowering, providing soil for its renaissance. Any tour of Cleveland’s arts scene should start at the Cleveland Museum of Art, a major cultural force in the region. Located in Wade Oval, it’s surrounded by other prominent cultural institutions including the Cleveland Museum of Natural History and Severance Hall, home of the Cleveland Orchestra. From there, walk a few blocks to the Museum of Contemporary Art Cleveland. The 50-year-old museum, which anchors the newly developed neighborhood around University Circle and Case Western Reserve University, features exhibitions and community events. Next, stroll up the hill through Little Italy. The neighborhood is home to several galleries and studios, including Pennello Gallery, a hub for glass, ceramics, and art jewelry. A mile or two east of downtown is Superior Hot Glass. The adjacent communities have been among the most diverse in the city, with a mix of Chinese and Slavic residents. Now artists create where factory workers toiled. Register for classes online or email to arrange a tour. 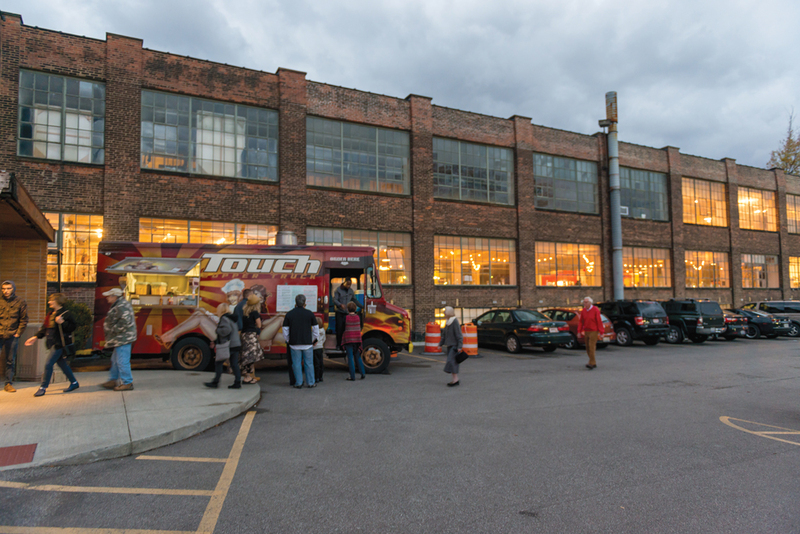 This area on Cleveland’s west side is home to 78th Street Studios, which calls itself the “largest art and design complex in Northeast Ohio.” In a past life, it housed the creative department of American Greetings Corp. Now the building’s tenants include performance spaces, art galleries, and artist studios. You can visit galleries during open house hours on Fridays from 11 a.m. to 4 p.m. or come by the Third Friday event, held monthly from 5 to 9 p.m. The evening, one of Cleveland’s most popular happenings, features food, music, open studios, and gallery events. The complex’s Watch It Wednesdays, on the first Wednesday of each month from 5 to 8 p.m., give visitors the chance to see makers in action. This suburb is so close to Cleveland that visitors might think it’s part of the city. Nestled on its south side is the Screw Factory Artists studios where craft enthusiasts can see artists working in fused glass, jewelry, and ceramics. To arrange studio visits, contact artists directly through the main website. The building once was the Templar car factory. 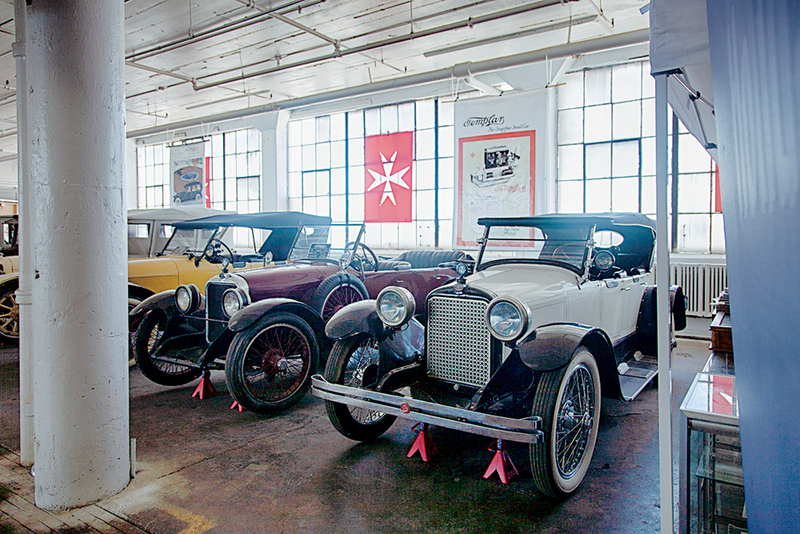 Upstairs, the Templar Motors Factory Display museum gives visitors a look at the luxury cars built there from 1917 to 1924. The weather in northeast Ohio is famously capricious from November to April, so residents take advantage of summer’s light and warmth. If you’re in the area, make a point of visiting these outdoor events. On the east side of town, stop at The Cleveland Flea. 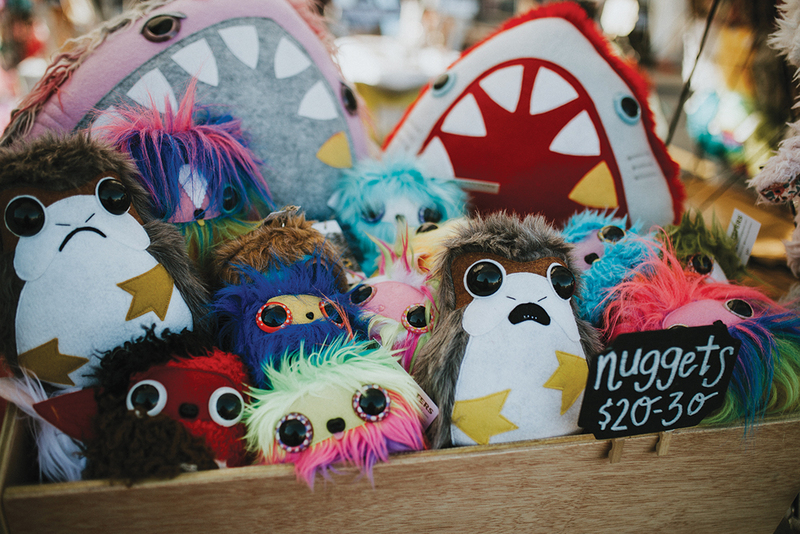 This quirky flea market, which runs monthly from April through October, has a mission to help makers go from hobbyists to brick-and-mortar business owners. A variety of vendors ranging from jewelers to craft brewers makes for a memorable shopping experience. Across the Cuyahoga River is the Lakewood Arts Festival, held the first weekend of August. The event hosts about 160 creatives including glassmakers, jewelers, fiber artists, and metalworkers, in the heart of downtown. After Labor Day, visit the Berea Arts Fest, just west of Cleveland. The festival, which features a juried mix of makers and fine artists including local high school and continuing ed students, is worth the drive.